Work for Zabbix Monitoring Solution? Learning about Zabbix Monitoring Solution? "Our Experience With The Monitoring System Zabbix"
Zabbix is a control-software for manifold network parameters, servers’ operability and status of servers. Zabbix uses a malleable notification scheme that allows users to set up alarm signals by mail for almost every event. This function makes it possible to react rapidly to difficulties with the server. Zabbix offers brilliant visualization and informing capabilities based on the collected data. That’s why Zabbix can be considered an ideal tool for scaling and modeling. We like that Zabbix functioning as a puller and trapper. All statistics, instrument settings, and reports in Zabbix are available through the web-interface. Web-interface establishes the necessary state of the network for you to be able to estimate your servers working from anywhere. It is hereto that a well-tuned Zabbix plays an essential part in monitoring the IT infrastructure. This is the best monitoring system for me. With a great desire, you can monitor any equipment. "One of the best monitoring software"
I really enjoy being able to have complete control of what's going on with each client, monitoring so that as soon as the client's internet goes out, get in touch and check what's going on, and have access to various circuit information through zabbix. Creating Zabbix metrics suited to your environment can be time-consuming. When choosing a monitoring platform like Zabbix, expect a steep learning curve and invest significant resources to make the tool valuable. I recommend that anyone who does not use Zabbix Monitoring Solution should start using it already, as it is the best monitoring service in my opinion. With zabbix, we have full control over customer links, knowing everything that is happening, such as packet loss, high latency, among other information. "Functionality and availability of services only with Zabbix." It collects statistics such as hardware temperature, disk and voltage faults through IPMI, which reduces the risk. With a good monitoring system, in addition to the options for notifications if problems arise. It is somewhat complex, but there is a learning platform in it, which is quite important for the most recent users and this makes them very easy to use. You can also use it in stores that want to build your own monitoring infrastructure, instead of using a service. Good tool for the company, with high features to offer and very good quality and breadth. With this program we were able to prevent small problems (such as hard drive failures) from growing without being controlled and causing very serious interruptions. Zabbix monitors both the internal and external IT infrastructure. It has given engineers the visibility to find the root cause of some problem caused instead of having to search with different systems. "Excellent monitoring all the time"
with zabbix, our monitoring becomes much more effective, since in addition to alerting him in zabbix, he already gives us all the information of the client circuit. Sometimes zabbix occurs to delay alarm a client circuit. I recommend zabbix for all companies wishing to have a good monitoring service, which will greatly help to make their customers satisfied. zabbix helps a lot to avoid problems with customers, because with it, we have all the information of the circuit and we already know what can be happening with the internet link of it. I like zabbix too much, its monitoring is almost perfect, every circuit of the clients as soon as they fall, it is already alert and we have contacted you immediately to solve the problem. What I do not like very much about zabbix is that in some moments, it is rare, more often than not, that the client circuit crashes and takes a little time to alarm and sometimes it causes dissatisfaction in the client. I recommend zabbix for all companies wishing to have one of the best monitoring services, with it, without doubt your customers will always be satisfied. with it we solve many problems, in addition to alerting customer circuits, we still have several information regarding the customer circuit that helps in solving the problem. "Zabbix, the best monitoring solution ever"
Zabbix is a nice monitoring solution, very complete and multipurpose. We use it to monitor our entire network and the tools included can monitor every aspect of the network with 100% efficiency. Find people who knows how to work with the solution, because it has a lot of potential and with the right personel, the 100% performance of the solution can be achieved. "Zabbix, the excellence of monitoring"
zabbix is widely used in the organization to monitor our internal system and to monitor customers, in addition to monitoring, we have access to various information regarding their circuit. I do not like some delay that occurs in some moments related to the circuit of customers, because when it takes to alarm, we take time to give a return to the client and this causes their dissatisfaction. I recommend zabbix for all companies wishing to have a monitoring service of their clients and their efficient internal systems in which it leaves everyone totally satisfied. they help us solve various problems with our clients' circuits, and it has brought many benefits, in which practically all our customers are satisfied. free software tool for network monitoring. It allows to monitor and record the status of several services in a network of computers, servers or hardware of the network itself. It is available under the Free GPL software license. Among its features include, Check the availability and response level of various services such as web services or mail, It allows to obtain statistics how to load a CPU, disk usage, network bandwidth, It allows to monitor services through protocols such as SNMP, TCP, ICMP or SSH and telnet. It is very complex to use,The user manuals are very extensive which makes many users desist from using it. Obviously I can not recommend one of these tools for it would have to know the installation and its features, but from my point of view, with these 3 options you will surely cover your monitoring of networks, and servers. What did you think of my experience? I hope I can help you in your decision process. Do not hesitate to ask me any questions you have. I use zabbix to monitor the infrastructure of our company (which is only 6 servers + all the network material). I have had zabbix for more than two years and it works very well. I like the fact that it is all in one application and does not require the installation of tons of plugins. The interface does not win any design awards, but it comes surprisingly well in terms of functionality. I've had some intermittent hardware problems on our servers in the past and having a lot of historical data in zabbix definitely helped a lot in narrowing them. Some versions seemed to have stability problems and crashed from time to time, but monit took care of that. I recommend putting zabbix in a separate box (and some hardware of the unarmed server of 3-4 years will work quite well) The application itself is not very heavy, but puts a significant strain on the database (mysql in my case) Save all Historical data is not cheap. "zabbix, the best for monitoring always"
what I like the most is that monitoring zabbix is always efficient, it effectively monitors our internal systems, as well as some customers we have. What I do not like much that sometimes occurs is that some clients warn because of some latency or inoperability problem, and it takes time to appear in zabbix. 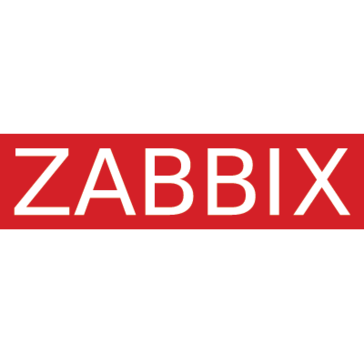 I recommend zabbix for all companies wishing to have one of the best monitoring tools, in which you have access to your customers' circuit information and internal information. he gave us several benefits, because we have complete control of our systems due to any problem the zabbix already alert, and we already warned. Zabbix made monitoring easy for Network and applications. It has inbuilt alerts with threshold that can se easily modified and configured as per user needs and using this tool is easy and understandable interface. With zabbix we can easily change settings as per our needs for alert generation and compatible for Incident Tools as well. IThey can increase more visualisation options in view data option. Zabbix is the most widely used product and it helps to keep running your operations without breakage. We are monitoring our systems to capture the outages and immediate resolution of it. It helps in notify easily and quickly. "zabbix, efficient monitoring at all times." Zabbix is deployed here in the company, and it is much easier to monitor all the circuits of our customers, I like it a lot, because it helps a lot. One of the problems we face with zabbix here in the company, are delays that it has afterwards, sometimes this problem occurs. I recommend zabbix for all companies wishing to have a good tool to monitor their internal systems and all their clients efficiently. "Zabbix, your customer always satisfied." we have zabbix here in the company, and with it we have total control over the circuits of our customers. what can be improved on it is a little delay that it has on one or other client circuit. all who still do not have zabbix in their company, implant it already, because it will help a lot in the monitoring of all the clients. we solved many client problems with the help of zabbix, as well as alerting the client circuit to zabbix, it still gives us all the information regarding the circuit. "An excellent tool for monitoring infrastructure"
I like the facility to configure asset monitoring and network connections, the intuitive interface allowing easy understanding and interpretation of the data presented by the tool and the extraction of these graphics for shipping to the customer. I have nothing to complain about the product. If you want trouble diagnosis and reliable reporting through a robust monitoring tool, zabbix is the tool. With Zabbix, we can monitor connections and network assets of company customers so they can diagnose problems and drive staff to resolve them, deliver network connection performance reports to customers. Nothing specific, but there was a big change in the new version and left a bit confusing. Providers, operators, NOCs, DTIs ... use this well configured tool, it helps a lot at work, in monitoring and managing incidents, in time management, meeting the SLAs. "Monitoring of Services and devices low price"
Zabbix is a app very versatility. My experience with this tool has been of great help to quickly detect possible failures. offer a high quality service and fast response to our customers. The tool require a complex knowledge for use because all is configurable. 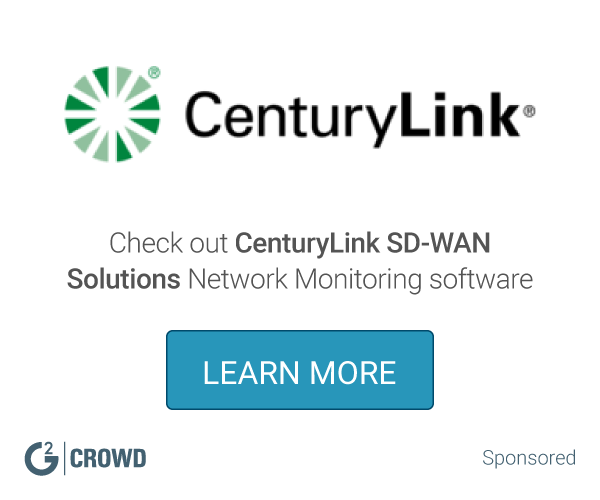 "One of the best solution for monitoring network assets." I like the light and clear interface and the reliability of the collected data and graphs generated from the performance of network connections and network assets. I think the interface may still be more intuitive. If you want reliable data on monitored assets, zabbix is the solution. With Zabbix in the framework, we can always keep track of what happens to our customers' network connections and take action to resolve potential issues. * We monitor all Zabbix Monitoring Solution reviews to prevent fraudulent reviews and keep review quality high. We do not post reviews by company employees or direct competitors. Validated reviews require the user to submit a screenshot of the product containing their user ID, in order to verify a user is an actual user of the product. Hi there! Are you looking to implement a solution like Zabbix Monitoring Solution?